Today's drink was inspired by a weekend at our friend's Lake Arrowhead home in California. This cocktail is very light and extremely refreshing. You can even make a larger batch for a cooler and bring it along on your next picnic. 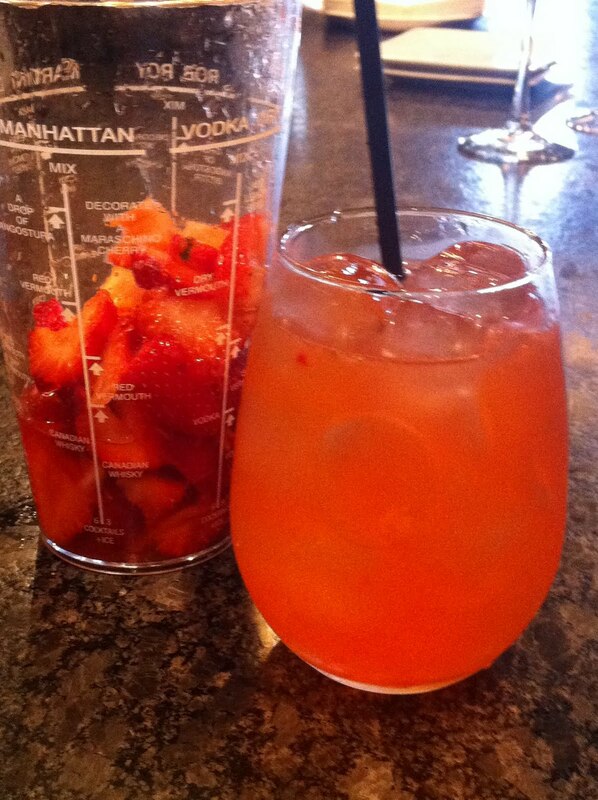 Step One: Slice the strawberries and put them into a shaker. 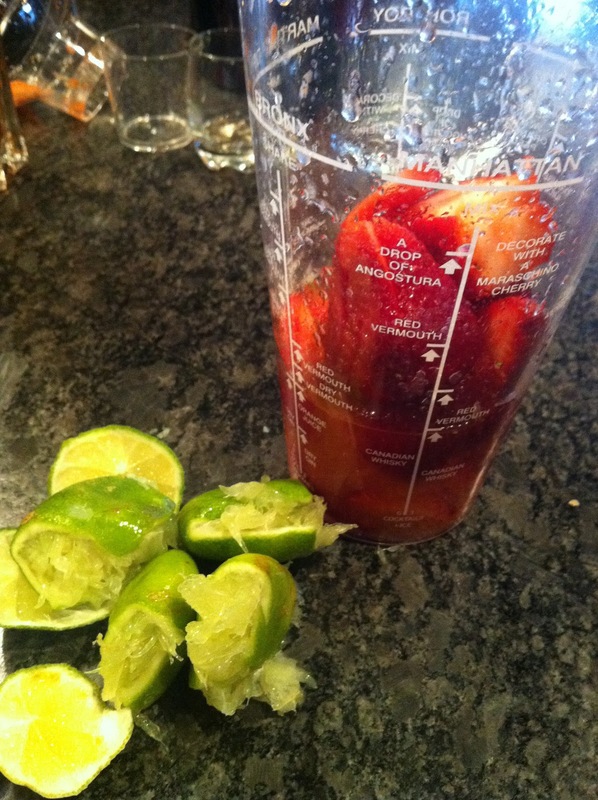 Squeeze half a lime into the strawberries and muddle together until strawberries are mashed. Step Two: Add vodka and St. Germain into the shaker and mix. Step Three: Strain the mixture into a lowball filled with ice. Add in tonic water. *For larger batches simply multiply each ingredient by the number of people in your party.